As a special branch, New Ark 90SE maintains all the key features of its family, while offering more fun for DIY. 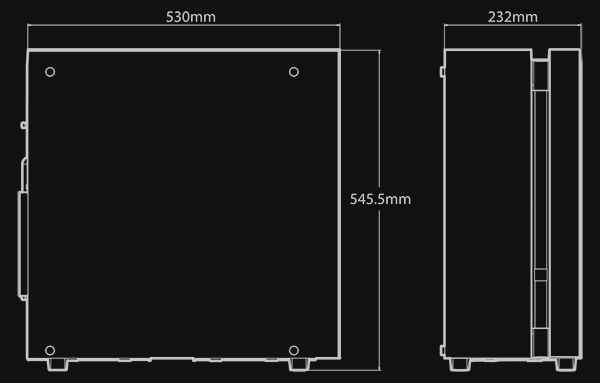 In this E-ATX case, you can install up to 360mm AIO liquid coolers at front, at top or on the side. Meanwhile, with the pre-installed RGB hub, you can build up your ADD-RGB carnival lighting and control it with case buttons. 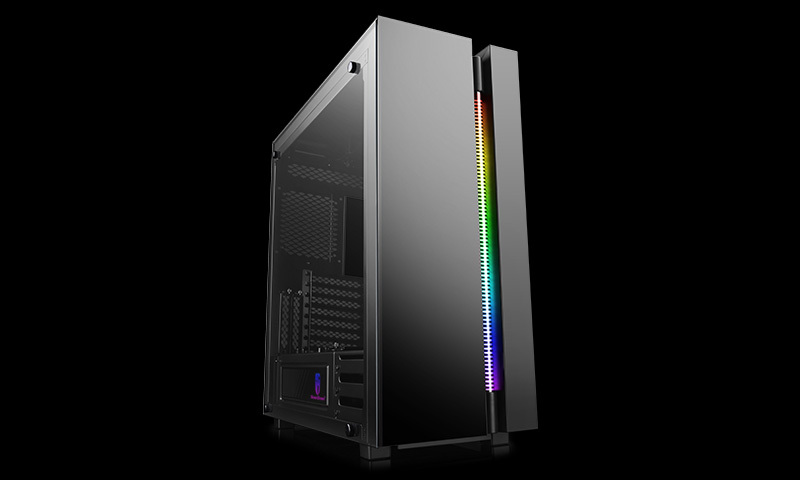 At last, the universal features of the product family such as a transparent PSU shroud, rubber grommets and a pull-out HDD cage will continue to provide you with great building and using experiences. A 6-port ADD-RGB hub is pre-installed in New Ark 90SE. With this, you can sync all ADD-RGB parts in the system, and control them by using either case buttons or supportive motherboard easily. Acrylic tubes, lit by ADD-RGB strips, are embedded in the front and top panels, providing a unique and dynamic look. Multiple ventilation holes are carved on the side panel, enabling the radiators of AIO liquid coolers to be installed on the side and at the same time creating an avant-garde style. Tempered glass is used for the whole left side panel and 75% of top/front panels. With a solid metal structure, New Ark 90SE has a crystal-like look and is as strong as diamond. The side of the PSU shroud is transparent, decorated with the RGB GAMER STORM Logo.